One of the bulbs in those little "puck" lights under your kitchen cabinets or the light in your desk lamp has burned out. You may have even had a burn-out with a landscape bullet light. Once you figure out how to get the fixture apart, you find a tiny bulb with a base you don't recognize. Now what? Sure, you can throw the entire fixture out and just get a new one. That may be easier, but it definitely won't be cheaper. What happens when the bulb burns out again (which it certainly will)? Are you going to keep buying replacement fixtures? Though G6.35 and GY6.35 bases have the same spacing, the pins have slightly different diameters. 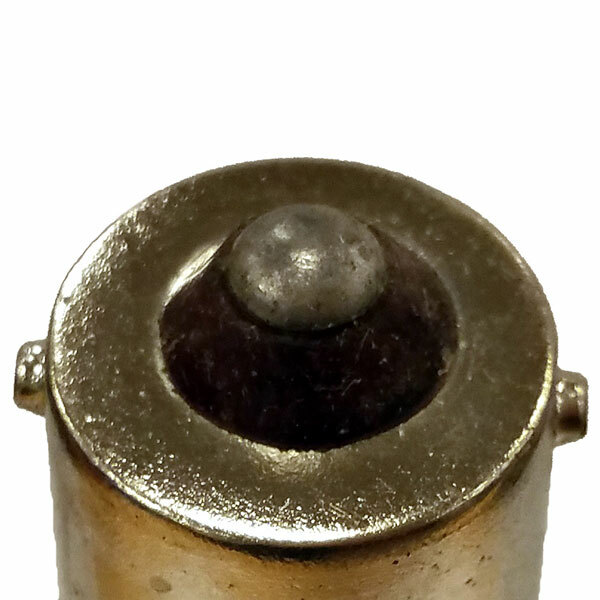 G6.35 pins have a diameter of 1 millimeter while GY6.35 pins are 1.25 millimeters in diameter. G8 and GY8, on the other hand, have differing pin lengths: G8 pins measure 8 millimeters long and GY8 pins measure 8.5 millimeters. Variation of G9 based bi-pin bulbs where the pins are formed into loops. 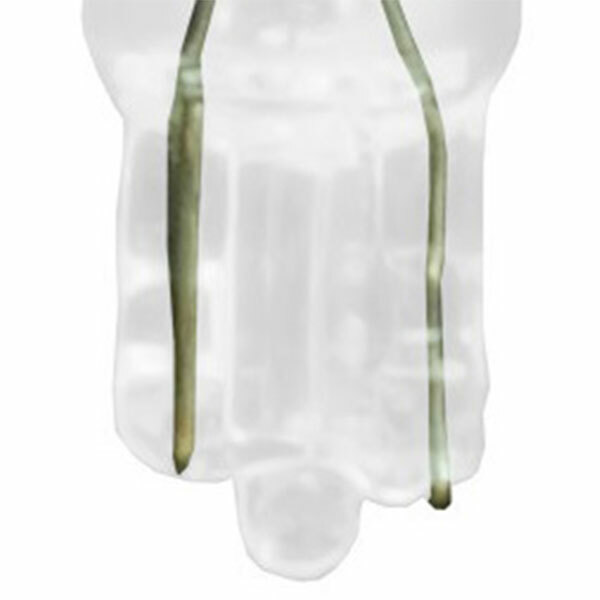 Pins are partially encased and the bulb is designed to be ‘wedged’ down into a specialty socket. 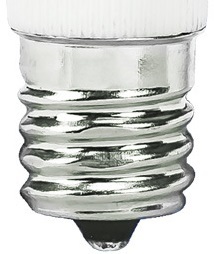 Twist and lock bulb with one metal contact on the bottom of the base. Twist and lock bulb with two metal contacts on the bottom of the base. Has points on each end of the lamp and can only be used in festoon sockets. Screw-base that measures 11 millimeters. Screw-base that measures 12 millimeters. Screw-base that measures 17 millimeters. Note: Mini candelabra (E11) and candelabra (E12) bulbs are not interchangeable even though there is only a millimeter difference between the two. Next, you need to find on the operating voltage of the fixture. This may be anywhere between 6 Volts up to 120 Volts and can use AC (alternating current) or DC (direct current). Check the fixture housing or socket and see if there is a label that tells you the voltage of the original bulb. The label will most likely have a UL or CSA symbol. If it's not on the fixture, try to find it on the bulb itself. When you find the voltage, write it down. The last step is to see what wattage your bulb uses. 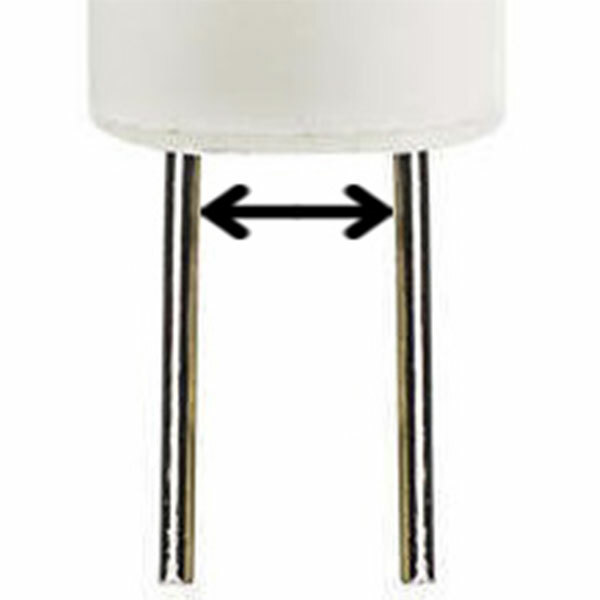 Like the voltage, wattage can be found printed directly on the bulb. Fixtures will also have the wattage information printed on them. In some cases you may see the wattage followed by ‘maximum wattage’. This indicates that the fixture cannot be used with a bulb that exceeds that Wattage. Now that you've got the bulb spacing, pin type, wattage, and voltage, it's time to find a replacement bulb. 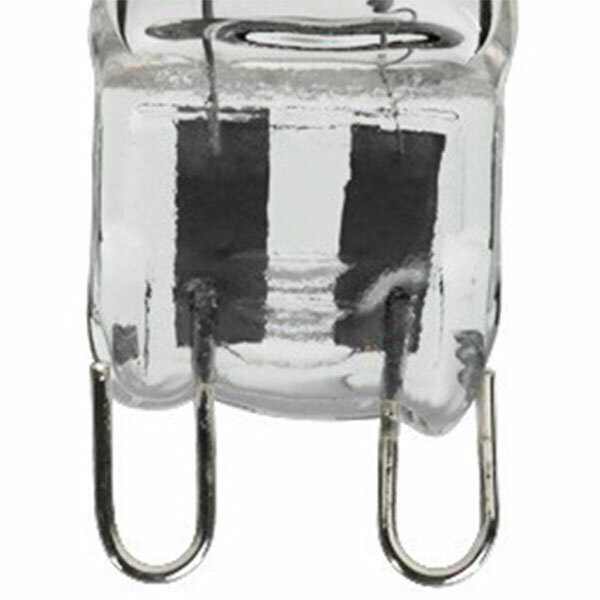 If your bi-pin bulb measures 4 millimeters between pins, you have a G4 base bulb which comes in 6, 12, or 24 Volts. If your measurement is just a hair wider than 6 millimeters, you have a bulb with a G6.35 base, which comes in 12, 24, or 120 Volts. 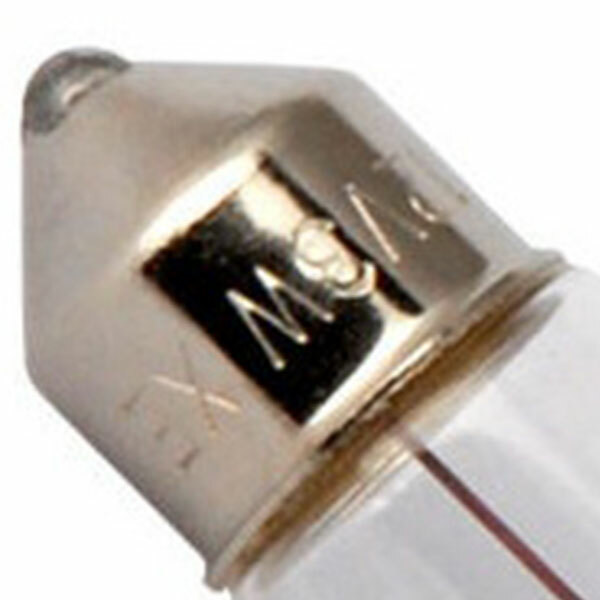 A measurement of 8 millimeters means you have a G8 base xenon bulb, which only comes in 120 Volts. Straight or looped pins spaced 9 millimeters apart means you have a G9 base bulb, which also only comes in 120 Volts. Next, match the LED to the Voltage of the fixture. 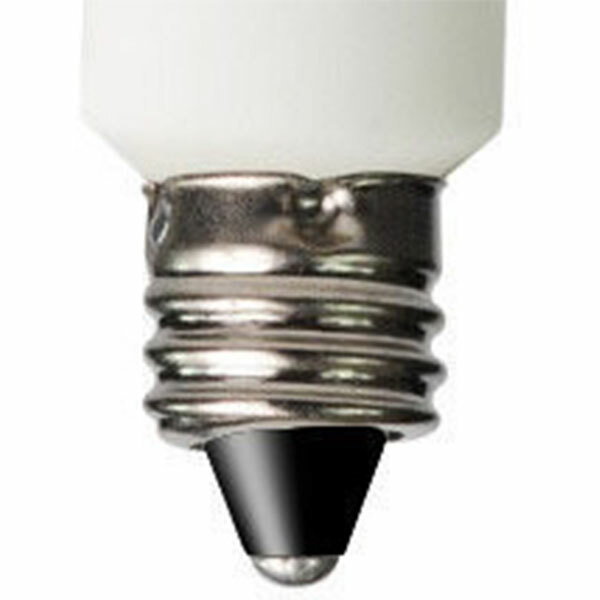 LED mini indicator bulbs generally range from 12 to 120 Volts and can operate using DC only, AC only, or both. Some bulbs, such as T3 wafers, can operate on slightly lower voltages. Make sure to pay close attention to what you are choosing since applying the wrong voltage or current can damage both the bulb and the fixture. Now compare wattages. To have a light output similar to your current halogen bulbs, look for LED bulbs that have the same wattage equivalent. For example, an LED mini indicator bulb labeled as “50 Watt Equal” will produce a similar amount of light as a 50-Watt halogen while using less electricity and producing far less heat. For a brighter light, choose a bulb that has a higher wattage equivalent. Since these LED bulbs consume far less energy than halogens, you don’t have to worry about going over the maximum wattage rating for the fixture. Because LED mini indicator lights come in a variety of shapes and sizes, it is best to measure the inside of your fixture to ensure that the new LED bulb will fit. 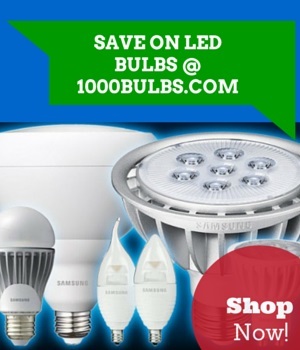 The LED bulb may be longer or have a larger dimension than the halogen bulb. If you can’t find a close enough match to your halogen or xenon bulb, speck with one of our customer service representatives at 1-800-624-4488 to see if a bulb can be special ordered. Now that you have found the halogen, xenon, or LED bulb you need, installing it is simple. After removing the fixture’s glass lens, insert the new bulb into the socket and replace the lens. If installing a halogen bulb, be careful not to touch the bulb itself, as the oils on your fingers will damage the bulb, shortening its life and maybe even causing it to melt. 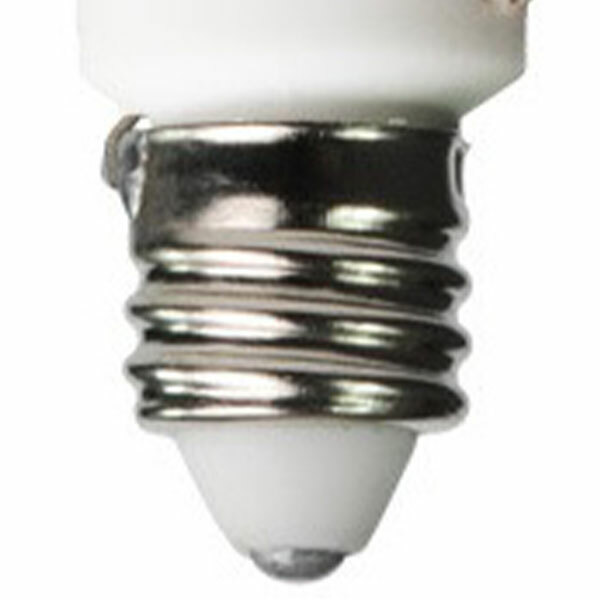 Some bulbs come with a wrapping around the bulb to prevent damage when installing them. If your bulb didn't come with a wrapping, wear gloves or use something to wrap around the bulb, but be sure to remove the wrapping after you install the bulb. Unlike halogen bulbs, LED mini lights are not affected by the oils on your hands so these bulbs can be handled freely without gloves. 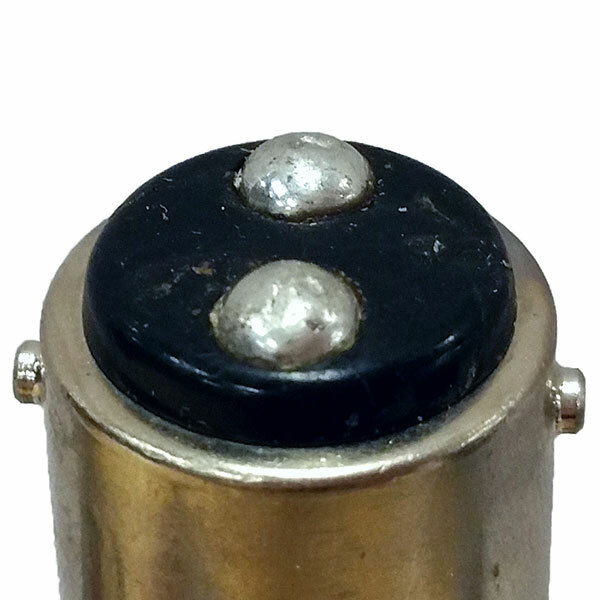 Some LED mini indicator lights are rated for use in dry locations and should not come into contact with any moisture. For applications where there may be moisture, look for wet location or waterproof bulbs which can be exposed to water but not submerged. LED indicator bulbs are not designed to withstand heat and cannot be used in applications such as microwaves or ovens. Not all LED mini indicator bulbs are capable of dimming. You will need to look specifically for bulbs labeled as dimmable if you want your lights to dim. That's all there is to it. Remember, replacing your bulb is much cheaper than replacing the whole fixture. While replacing the bulb may not be as easy, after a few times, you'll get the hang of it. If you have any questions about these bulbs or just questions in general, don't be shy! Drop us a comment in the box below or reach out to us Facebook, Twitter, Google Plus, LinkedIn, or Pinterest. Original post by Jordan Loa. Post updated by Angela Rogers on 2/19/2019.